Well, my intentions to get out a February update were there but sadly did not happen. So I am going to give a mid-month update now as I fear I am going to be in the same boat come end of month again. So, with out further ado, let’s get to it. 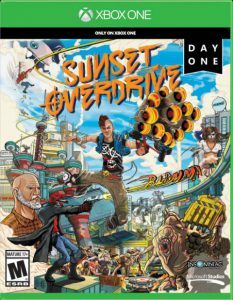 First game that hit my completion list since last update is a media darling known as Sunset Overdrive. 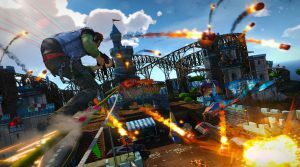 Made by Insomniac Games, this little gem is a visual treat using wonderful vibrant colors and comic book like art style of characters and explosions that deliver a truly unique game that puts you in an open world action game. Featuring a fictional world where an energy drink called Overdrive has created a bizarre mutant reaction, its up to your customized character to set things right again. Control and game play wise this game reminded me a lot of games like Infamous Second Son or Jet Set Radio. Grinding along rails is your primary mode to get around and its done well. Traversal in this game becomes a real treat once you learn the in’s and out’s of what you can do as well as gain some additional powers that compliment the system well. Combat though is where this game falls down and unfortunately its a big piece of the puzzle. You see in S.O. the game forces you to conduct 99% of your combat while moving along rails and jumping to and fro. If you are flat footed on the ground you are likely dead in just a min regardless of what weapon you have out. Enemies will swarm you and overwhelm you regardless of what weapons you have. This is the rub. Because we play 99% of all our shooters on foot in more traditional ways it makes making this switch to a new way of shooting really counter intuitive. So much so that it really will rub most the wrong way. It’s a shame really, because one of the highlights to the game is the vast arsenal of weapons that Insomniac made for this game. The guns are really good too, and range from standard machine guns to things like a Teddy Bear Bomb Launcher. When you play a shooter with cool guns, you want to use them and see their destructive force and results. Unfortunately you have to constantly move along and platform and rail ride around to avoid being killed and thus miss most of the cool effects. Now, I know I said the shooting was horrible and it more or less derails this rail riding shooter but there is a saving grace. That is that even though it falls flat on the shooting, the movement & platforming along with its bizarre and fun sense of dark humor had me entertained enough to say I enjoyed my time with it. This game is a visual and unique experience and if you can get it on the cheap, which you should be able to, I think its well worth a look. So, I save the best for last. 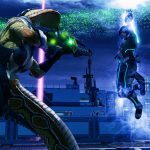 X-com 2 is a game I absolutely love and would recommend to any gamer who enjoys strategy games & challenge. 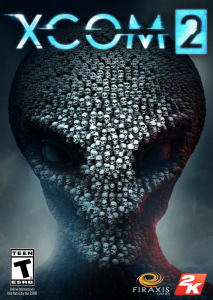 The premise behind X-com 2 is this: We the humans of Earth lost the war against the alien invaders of the first game X-com Enemy Unknown. In the wake of that terrible news a resistance movement has taken hold and you are once again the commander who’s primary goal is to push back against these alien invaders and free the Earth from their shackles. 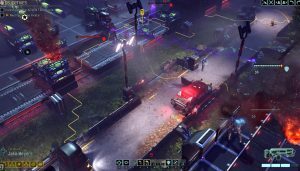 As in previous X-com games (this is a long running IP that started back in 1991) you have an army that you will develop skills for individual soldiers as well as weapons, upgrades, building a base and deploying a squad to fight through turn based play. Its a game that delivers a unique twist on turn-based play as when you give orders not only will you see your character do that order, but there is a cinematic flair to it that keeps the game from feeling too board game like. In X-com 2 all the maps are procedural in how the are generated so your experience on replays always feels fresh. Visually it looks good but this is a demanding game, and so likely whether you are on PC or Console you will see frame rate hiccups. But, that really isn’t that big of a deal given all combat takes place in a turn based environment. The story is solid and there is a healthy mod community for the PC version and some decent DLC for the console version. The game offers a deep RPG system for your soldiers as well as the base building so you will be constantly working those systems to deploy the best squads possible as well as become somewhat emotionally attached to the soldiers themselves. 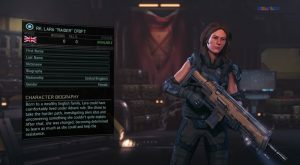 An added bonus of the X-com series has always been the ability to customize your soldiers to have names of family & friends. When you do this, you will suddenly notice how much more you will care if a certain soldier makes it out or not. You can sink 100+ of hours into X-com 2 if you are not careful but I say that is the icing on the cake. It’s game that offers up a very different experience than the avalanche of shooters, plat-former and driving sims we have in the market. This one gets highpraise from me, so I implore you to get your strategy on and help save planet Earth! Cheers – Greg aka Murphys Law. Well, I am getting this update off a little later than I had wanted, I was holding off the update until I finished up a 2nd game just in time for end of month for my Year of Living Gamegerously. 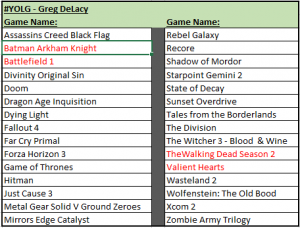 I was able to knock down Batman Arkham Knight and Valiant Hearts while continuing my play through on two longer games (X-com 2 and Rebel Galaxy). So on to the games (I do my best to keep them spoiler free). First up lets talk Batman Arkham Knight. This is a big game, no way around that and play through for the average person will exceed 25+ hours assuming you just dabble in some side missions. There is a lot to like about Batman Arkham Knight, and if you are a Batman fan you will really enjoy the who’s who of villains this game parades out. The main story line has Batman going up against a fairly well known villain who is hell bent on destroying/reshaping Gotham. Nothing really new here, I think this is the main plot to every Batman game/movie/comic ever. What I did find fun and refreshing was how they introduce so many of the characters/villains of the Batman lore into this game. In particular one such persona will take on a very large and un-expected role in the game and the implementation and direction of this is fantastic. I think ultimately this may be one of my most favorite story lines for the Batman games. Visuals again are top notch, combat as smooth as ever and the amount of gadgets and skill trees for upgrades is robust to the point you will not max out in a standard play through. Luckily the game does offer a game plus mode so even once you finish the main story you can continue to be the capped crusader for many more hours. So what is not to like? Well, the bat-mobile for me was a great addition at first but quickly it becomes what I felt like was a crutch to extend game play and make its inclusion feel relevant. Far too often you are going to be engaged in vehicle sequences that really take you out of feeling like Batman. They tend to be rather mundane vehicle combat sequences that have little challenge to them and at worst feel down right boring. Add to that the gazillion Riddler Challenges that are car based and you soon loath the thought of getting in the bat-mobile which is a shame because its actually a really cool tank (really its not a car at this point). Also, is it just me or does Gotham never have sun light and rain free days? I really would have enjoyed even just a bit of daylight game play or a few “overcast not raining on me” moments. This game is a stunner to look at but I feel like the devs fell in love with their rain a bit too much. Anyway, overall this is a great Batman game. 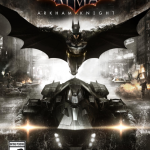 Really worth a play if you enjoyed previous Batman games or even games like an Assassins Creed. So my second game finished is Valiant Hearts. This game I had started a ways back and just couldn’t get into it and left it for dead. Thanks to YOLG though I felt compelled to give it another go and overall, pleased I did for the most part. This is not a long game, ultimately you can speed through in about 7 hours but there are collectibles to be found so I would figure more like 9 hours. The main story has you switching out between a few different characters & story lines during World War 1. No, this is not like Battlefield 1 even though it might seem similar at first read. The different characters do all mesh together into one overarching story that is delivered through a cartoon like hand drawn vibe. Sprinkled into the game is a narrator who not only delivers story beats but also very real facts and stats from World War 1. Game play wise the game is a horizontal side scrolling action title with a pretty simple control scheme. Often times during game play you will be teamed up with another character (usually a dog) and you will use them to solve numerous puzzles to get items for quests. This was one of my bigger complaints to be honest. Too often you feel like the level you are playing is just a series of tedious fetch quests that extend the game play time but don’t exactly add to enjoyment. Of all the different characters you play as I found playing the role of the young female medic to be the most rewarding and fun. They introduce a rhythmic button mechanic to the game play in certain moments that I found to be compelling and suited for the situation. 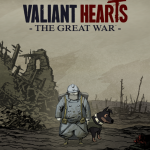 Overall, Valiant Hearts is a nice play and certainly worth and afternoon or two. Its story telling is done in a fun way with the serious undertones of reality. Add to that the fact that you can actually learn a few historical facts and the package is nice. You should be able to grab it on the cheap these days so I would say a $10 is about right. So that’s all for January my budget is still at $90 left so nothing new spent. The month came and went in a blink, hoping I can increase my pace a bit on completion for February but given the short month… well we will see. 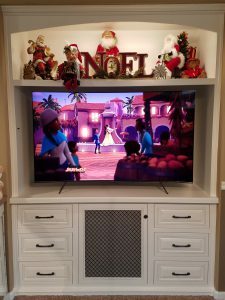 Well, we are just about done with December and due to the holidays and a new entertainment center project my progress on my list has been more or less non-existent. I was able to knock out Telltales The Walking Dead Season 2 and Battlefield 1 before the close of month though. I didn’t have much left on TWD Season 2 to begin with so it was a nice boost to the confidence given how much time was lost and Battlefield 1 wasn’t terribly long either so they were solid choices to start with. So some thoughts on TWD Season 2. It was ultimately a let down compared to season 1. I just can’t put it any other way. It had some good moments and its certainly a good enough Telltale game. I just wanted more and I just don’t feel Clementine is a good character to build a game like TWD around. In the first TWD game your character was thrust into a position of being a decision maker and it felt right. In season 2 Clementine assumes that role and I just couldn’t wrap my head around adults turning to a pre-teen for life or death decisions. I know its a zombie apocalypse and all that …but lets be real here. Turning to her for decisions is equivalent to entrusting a countries highest elected office to a real-estate and reality TV star. Like that would ever happen…. Turning my attention to Battlefield 1. This was a really solid Battlefield game. The multiplayer is excellent but I will focus my thoughts on the single player. When I learned that BF1 single player was going to be broken up into smaller campaigns focused that weren’t connected I was very intrigued. I thought this was a smart decision given their struggles with single player in the past. So does it work? Sort of? What I mean is its good but I found myself ultimately wishing they had just built out a single cohesive campaign. I didn’t care for the flying and trench warfare based stories. I thought the Tank story and final story dealing with Lawrence of Arabia were great choices and either could have been fleshed out into larger bigger campaigns. Instead we got the bite sized stories which by the end were in reality just training games for the multiplayer. Once you realize that is the case the sheen of the single player campaign for BF1 dulls quickly. It’s still a really good game, just missing the mark again for the single player. 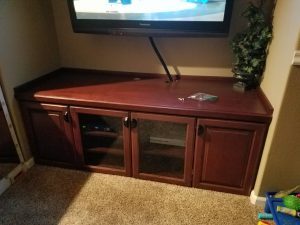 Now, what I can update on is the progress I have had in updating my TV and entertainment center (see pics below). Back in October I picked up a new Xbox One S to replace my other Xbox One (which I sold for $150) so the upgrade cost was minimal. Thanks to the ease of swapping the external drive, set up was also really straight forward. I am now sporting a new 65 inch Samsung KS8500 4K TV. This is the curved screen version. Why curved screen? I just preferred it to the flat screen when at the angle. It’s not better per-se just different. Now, does the 4k make a difference? Short answer yes, for me its been huge but bear in mind I was running a 50 inch Panasonic 1080i plasma before. So I don’t know if you are on smaller sized screens how big a difference this would seem when looking at 1080p vs 4K. If you can afford to indulge yourself I don’t think you will be disappointed but don’t expect life changing visuals. This is not like last gen where we came from sub 480p to 720/1080p visuals. So what is next on my YOLG list? Currently I am tackling Batman Arkaham Knight in the hopes I can finish that up right around the new year and knock off another on my list. I did buy one game over the xmas sales…. 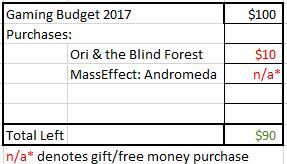 Ori and the Blind Forest: Definitive Edition was $10.00 so that comes off the top of my $100 budget. So what exactly is the Year of Living Gamegerously (#YOLG)? This was an idea born from the brain of Robin Tate (aka Bongo the Sane). The thoguht was to take a year off of buying new games and create a list of 30 games that you hadn’t played or finished yet and just play those games. At first I scoffed and thought no way but then he added a small budget of $100 toward a few new games to help ease the pain of going cold turkey on buying new games. The more I thought about it the more I liked the idea. I game share with a brother from another so the thought of just $100 didn’t see too daunting either so I said why not. 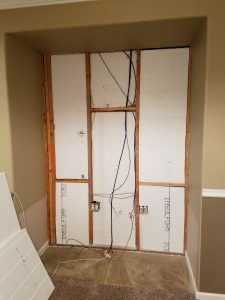 Added into the mix is blogging our journey and so….here is where it starts for me. Beginning Dec. 1st, 2016 I will have 1 year to complete my list of 30 games and limit my own outward expense to $100 toward new games. Sounds easy until you look at my list.